Our company's core business is Car Rental in Riga and Car Sales business. In addition, we provide a variety of services and optional equipment that will make the car rental more enjoyable and adapted to your individual needs. Car decoration and an individualised design for a variety of special events, such as weddings, thematic parties, birthdays, funerals, etc. We can also help print or glue-over the car with the materials according to your custom needs. As the car printing is not a quick and simple process, we encourage you to contact our employees well in advance. Navigation systems in the car are available as optional equipment, if not built in the car already as many luxury rental cars have. The navigation systems with latest built-in maps will help you navigate better around Riga, vicinity, and entire Latvia. Chauffeur drive services - another of our proposed additional services, provided together with the rental car or separately upon request. 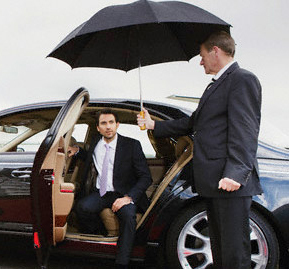 All our chauffeurs are extremely professional, possess local knowledge and are familiar with the best routes. Enjoy a relaxing ride and a view from the backseat while our chauffeur sits behind the steering wheel and takes you to the destination of your choice. Rental car insurance protects you from a variety of risks associated with the accidents on the road you are involved in while driving one of our rental cars. In cases where road accident is directly associated to your fault, this insurance will protect you from any material liability.